Congratulations Ray! - Website of kennetaccordionorchestra! Congratulations are in order for one of our players, Ray Lewis who recently took his Grade 6 Theory exam. We are delighted to say Ray passed this advanced level with flying colours, achieving 98%. 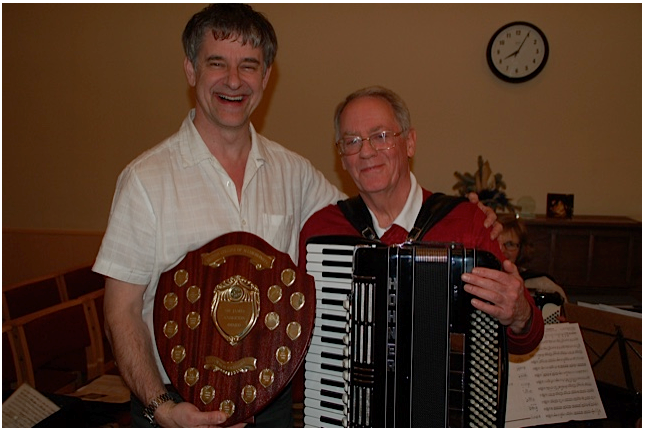 This achievement also results in Ray being awarded the “Sir James Anderton Challenge Shield”, presented by the British College of Accordionists (BCA) to the candidate who achieves the highest mark (in the country) for this examination.